TAIPEI, Taiwan—Wi-Fi cards made by Chinese tech giant Huawei have come under scrutiny in Taiwan and Pakistan after experts noted potential security vulnerabilities. Zhinan Bus Co., a bus operator in New Taipei City and Taipei City, recently disclosed that 20 of its vehicles were equipped with 4G Wi-Fi cards made by Huawei. Together with routers made by Latvian internet equipment provider MikroTik, they provide free wireless internet service to bus riders, according to Taiwanese media. The bus operator began offering the free internet connection in September 2017. 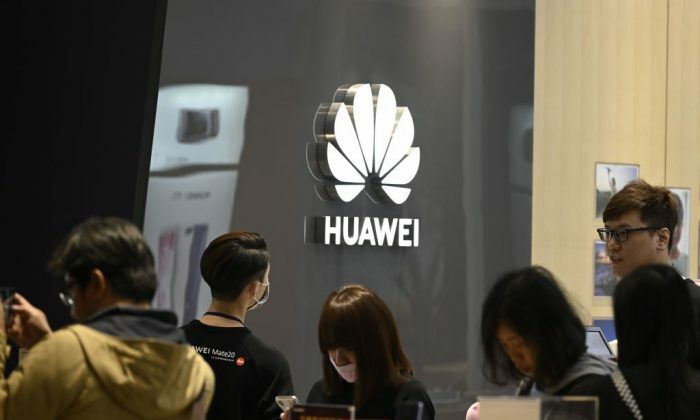 The public acknowledgment was made by company General Manager Lee Chien-wen, after local media began reporting about the company’s alleged use of Huawei products. Lee explained that the company began using the Huawei Wi-Fi cards about six months ago, and the purchases were made in accordance with Taiwan laws. The National Communication Commission, Taiwan’s telecom and broadcasting regulator, began banning Huawei base stations in 2013, according to Taiwanese media. Since then, Taiwan’s central government, including the presidential office, legislature, defense ministry, and chief intelligence agency, has put in place bans against any Chinese-made telecom equipment. However, local governments don’t yet have restrictions. The Taiwanese government shares similar security concerns to many other countries around the world, including Australia and the United States, which have restricted their market access to Huawei, owing to its close ties to Beijing. Under China’s National Intelligence Law, enacted in 2017, all Chinese companies are required to supply intelligence information to Beijing, if requested. Lin Ying-dar, a professor specializing in wireless communications and network security at Taiwan’s National Chiao Tung University, warned that Huawei equipment and gadgets, including smartphones, Wi-Fi cards, internet base stations, and core networks, are all likely to have built-in backdoors. That would put users at risk of being spied on or having their communications intercepted, he said in an interview with Taiwanese daily newspaper Liberty Times, about the Wi-Fi cards used by Zhinan Bus Co. Meanwhile, Shen Pao-yang, assistant professor at the Graduate School of Criminology of National Taipei University, said in an interview with the Asia-Pacific branch of New York-based broadcaster NTD that public transportation services should be proactive about disclosing any equipment they use that is made by Chinese companies. Shen called on the Taiwanese government to pass a law that would prevent the use of any equipment made by countries that are considered adversaries to Taiwan, if the equipment could be illegally used to collect information in Taiwan. Taiwan’s national defense is built on fending off military attacks from China, because the Beijing regime considers the island part of its territory and has threatened to unite it with the mainland, with military force if necessary. Things may soon change, as an executive order about mainland Chinese-made IT products used by government agencies is slated to be issued later this week, according to an April 10 report by local English-language daily Taipei Times. The executive order is expected to extend the telecom ban to local government agencies, in addition to expanding the breadth of prohibited China-made products to mobile devices, security cameras, and server components made by Huawei, Chinese tech giant ZTE, and Chinese video surveillance equipment maker Hangzhou Hikvision Digital Technology, according to Taipei Times. The full list of prohibited items is expected to be finalized when the executive order is issued. Like Huawei, ZTE has ties to China’s military. Hikvision is a key supplier of technology for Beijing’s massive surveillance network to monitor citizens and track dissidents, including in the Xinjiang region, where Uyghur Muslims are heavily persecuted. A similar Wi-Fi concern was raised in March, after revelations at a legislative hearing that a Taiwanese contractor that provides free 4G Wi-Fi for some of Taiwan’s metro, railway, and high-speed railway, could, in fact, be controlled by a Chinese telecom company. Huawei has marketed its package of IT solutions, surveillance systems, and internet networks, under the concept of “smart city,” around the world. According to Huawei’s website, the German city of Gelsenkirchen and the South African city of Ekurhuleni already have employed the company’s “smart city” technology. In the Pakistani city of Lahore, the Punjab Safe Cities Authority (PSCA), an autonomous government body focused on public safety, signed a deal with Huawei to use its “smart city” surveillance camera system in 2016. But recently, the PSCA told BBC that it discovered Wi-Fi transmitting cards within the infrastructure of its Huawei-made surveillance system—that weren’t supposed to be there. Upon discovery in 2017, PSCA had asked Huawei to remove the cards due to the “potential for misuse”; the company complied. According to the BBC, a Huawei representative told PSCA at the time that the cards were placed into 1,800 “CCTV cabinets” around Lahore, so Huawei engineers could easily access them remotely for troubleshooting. However, two unnamed people involved with the Lahore smart city project told BBC that remote access to the cabinets was already possible through a main network, without the cards. “If you put a Wi-Fi card in, then you’re potentially giving someone some other form of remote access to it. You might say it’s done for one purpose, but as soon as you do that, it’s got the potential to be misused,” cybersecurity expert Alan Woodward told BBC. One of the sources told BBC that the cards were removed before there was a chance to test whether they could be exploited. According to a May 2016 article by Pakistani English-language newspaper The Express Tribune, the PSCA contract with Huawei was for the installation of about 10,000 surveillance cameras in Lahore, including in key infrastructure sites, public institutions, and markets. Huawei was awarded the project after a successful bid of 12 billion Pakistani rupees (about $84.7 billion). PSCA wrote on its website that many of these surveillance cameras are equipped with facial-recognition software. The dangers of Huawei exporting smart city technology abroad were explained by the U.S. think tank Jamestown Foundation, in an article published in June 2018.